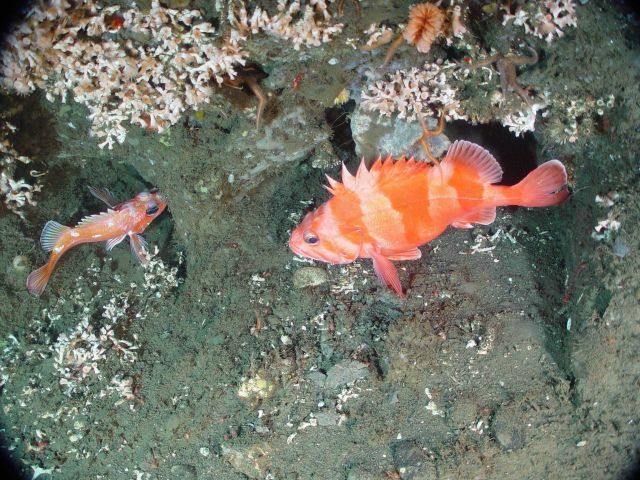 Rosethorn and Redbanded rockfish at the base of the “monolith”, a large boulder. Stony corals Lophelia pertusa and Desmophyllum sp. can be seen above the fish.